...and just a little history. 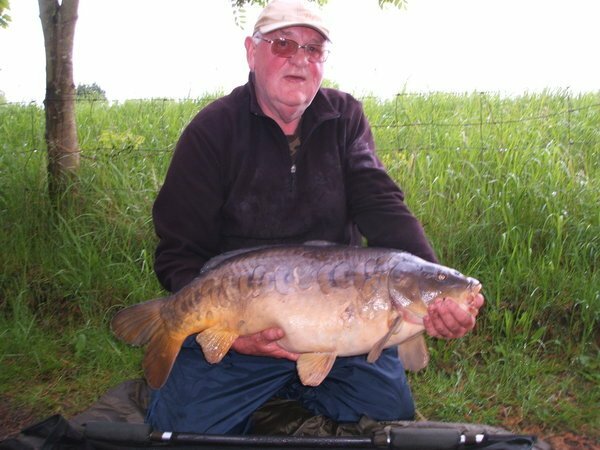 In the best nutshell I am able to form: we used to fish for carp with the simplest of methods – either free-line or a baited hook and line which ran through a lead stopped by a swivel or, if you go back far enough, a split shot. The hook was buried within the bait so, when a run occurred, you had to carefully time the strike and drive the hook home. The necessity for this created a branch of fishing which kept dedicated carp-anglers awake and ever-ready all day and all night and this alone could form the basis of a lengthy article, possibly a book, because those anglers compelled to stay sharp for long periods saw and experienced very much more of the night (in particular) than the largely comatose modern carp angler. Pre-buzzer and bivvy, the whole affair was very much more atmospheric and mysterious, the speci-man ever watchful in the dark for his indicator to rise magically like a conjurer’s trick. Then hair-rigging came along to obviate the need to strike the hook through the bait before it penetrated the fish’s lip: dead clever! If a fish broke the angler’s line above the lead, it would be left trailing that heavy, injurious lead around the lake until the hook-length broke or the lead snagged and tore the hook from the fish’s mouth: not good. To prevent this happening, the lead-clip was invented; a plastic clip from which the lead could free itself and, at least, leave the fish to contend only with an unwanted hook and a small length of line. Again, not good, but much better. None of this will be news to the thousands of dedicated carp anglers who know their stuff inside-out and this short piece is not for them, but it may be something of an education to those who have entered the world of carp-fishing with a set of ‘given’ ideas and techniques to use without understanding their history. All of the components necessary to make an effective, modern rig are available on any number of on-line stores and tackle-shops. The diagram below illustrates not only how the lead is released when necessary but how your rigs can be streamlined for effectiveness and versatility. If the lead snags during the fight it will safely pull out of the clip. 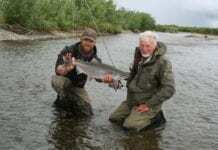 If the main line breaks, the lead will eventually snag and relieve the fish of its burden. 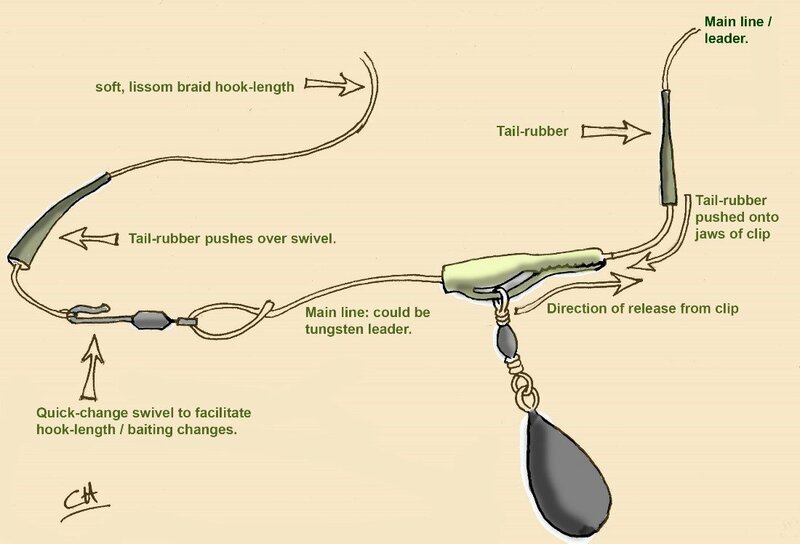 To effect a perfectly functional rig you need use only standard monofilament line throughout, but the use of a lissom braid hook-length, and a weighted leader to ‘pin’ the line to the lake-bed is de rigeur for today’s most successful carp anglers. This rig affords the ‘benefits’ of the bolt-rig while ensuring the fish’s relative safety should it break the main line. Top quality, rig-ready, ‘haired’ hook-lengths are a real boon to those who just want to get on with their fishing. Generally, making your own stuff is fun and, I think, commendable; but the sheer quality and convenience of the ‘readies’ makes them a ‘must’. Picture: Eddie Benham with 35lb fish caught on tench bolt-rig. Previous articleThe London Fly-Fishing Fair 2018 – Rod Sturdy.